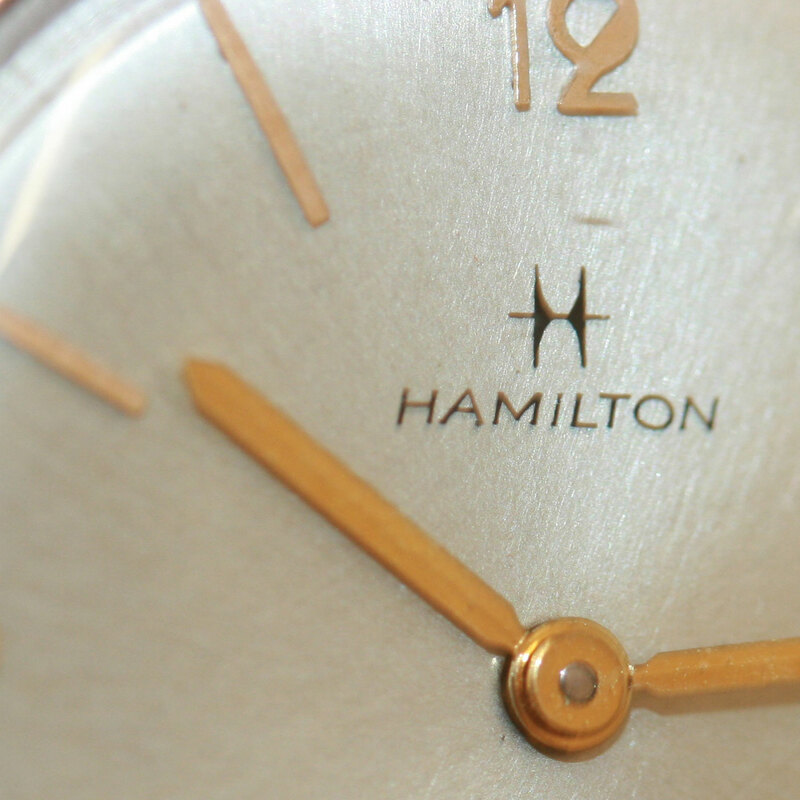 14ct gold vintage Hamilton watch. Product code: 616 Categories: Sold Items, Sold Watches. This is a very elegant and stylish manual wind Hamilton wrist watch from the 1960’s in a solid 14ct gold case. Named the “thinline” it is as the name suggests a very slim watch, and sits on the wrist perfectly. With a dial that is spotless and very easy to read, this is a great example of a classic watch.